In this blog post and the subsequent post, I'm going to write about Spring Integration and also share my experience in using Spring Integration in a live project. To begin with, I will provide a brief introduction to Spring Integration framework and in the next post I will show how to apply it. Spring Integration is a Spring driven framework which supports message driven architecture and provides routing, transformation of messages and implements the common Enterprise Integration patterns, more importantly the "Pipes and Filters" pattern. What is Pipes and Filter Pattern? This is an Enterprise Integration pattern, which is applied, if multiple processing units are required to process a message and we need to increase reuse and also achieve decoupling. The "filters" represent any component that is capable of producing and/or consuming messages, and the "pipes" transport the messages between filters so that the components themselves remain loosely-coupled. Generic wrapper for any Java object combined with metadata used by the framework while handling that object. In the header, any arbitrary key/value could be stored. In other words, any POJO could be used as a Message. 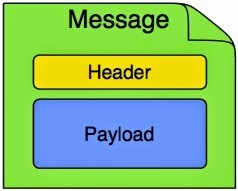 A Message Channel represents the "pipe" of a pipes-and-filters architecture. Producers send Messages to a channel, and consumers receive Messages from a channel. The Message Channel therefore decouples the messaging components, and also provides a convenient point for interception and monitoring of Messages. There are various implementations available for each of the above channel types. For eg, QueueChannel, DirectChannel etc. A Message Endpoint represents the "filter" of a pipes-and-filters architecture. This is the processing unit which acts on the message. Router: Responsible for deciding what channel or channels should receive the Message next (if any). Splitter: Responsible for splitting a message into multiple messages and then send each of those to its output channel. Service Activator: A generic end point. 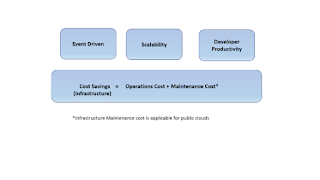 We can configure a service provider and a service method with custom logic. Aggregator: Combines multiple messages into one (opposite of Splitter). Channel Adapter: Connects a Message Channel to some other system or transport. Inbound adapter: An inbound "Channel Adapter" endpoint connects a source system to a MessageChannel. Outbound adapter: An outbound "Channel Adapter" endpoint connects a MessageChannel to a target system.